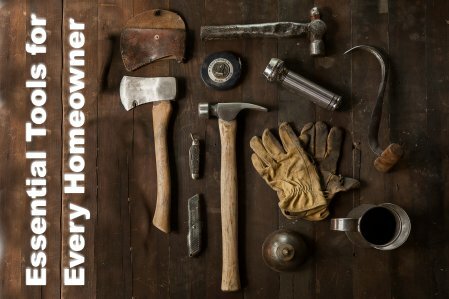 Being a homeowner means having to take care of home improvements and maintenance. And if you don’t have the proper tools to deal with them yourself, it could cost a bundle to get things fixed by a professional. Having a tool kit early on can help save money and time in the future, especially with small fixes that can be done by you. We’ve compiled a list of essential tools to keep on hand for anything that comes your way. Tool Box – Without a proper location to store everything, your tools could get easily get misplaced around the house. Try to find a sturdy box that will help you easily organize your tools and keep things separated. You’ll want small compartments for batteries, nails and screws, as well as spots to place your flashlight and hand-held items. Whatever helps you keep order, make sure it fits into your space. Screwdrivers – Good-quality screwdrivers are great because they last long and come with multiple attachments. These are perfect for small or large fixes, and can be used in a hurry. Make sure you store the extra attachments in a bag or compartment so that they don’t get lost! Hammer – You’ll want a hammer with an easy grip that fits well in your hand and has a claw at the head for pulling out nails. The lightweight hammers are fine for small tasks, but you might be faced with a project in the future that requires a bit more effort. Wrenches – If you don’t want to start by purchasing a large amount of wrenches, consider an adjustable wrench in a small, medium and large size. Almost any repair or assembly job will require nuts and bolts, and in order to manipulate them, you will need a wrench. Cordless Drill – This may become one of your most used tools, so it is important not to skimp out on the heavy duty drills. They can be used virtually anywhere due to the lack of cord, and because they’re electric, work quickly. Pliers – These are good for pulling, bending and pinching materials for projects, and can make certain repairs a breeze. Try to complete a set with three main types of pliers: combination pliers, locking pliers, and long-nose pliers. Tape Measure – Being able to measure whatever material you are working with is very important, so having a tool for measuring is vital to any successful tool kit. Start with the larger ¾-inch model and, if you find a need, purchase an additional smaller version (pocket sized). Level – Whether you’re hanging pictures, setting up a table or installing new cabinets, levels are must-haves in any home. Flashlight – When the power goes out or we need to find something in a small space, many of us now go to our phones and open a flashlight app. But what happens when the battery dies or you need to make a call while using the flashlight? This is one of those items that shouldn’t be replaced by your smartphone. A time will come when you need a powerful light and your phone is not an option. Utility Knife – Don’t think you need a utility knife? Purchase one and you’ll see just how handy it actually is: you can scrape paint, cut heavy materials, open boxes and bags and much more. These knives also give you a reason to stop breaking kitchen knives. Have anything to add? Let us know in the comments section!